SMSF trustees have until 31 May to get ready for SuperStream. Richard Livingston and Liam Shorte explain what you need to do. In SMSF Alert: February 2014 we highlighted the SuperStream data and payment standards, effective from 1 July this year. If you’re the trustee of a SMSF you’ve probably received a reminder letter from the Tax Office. So, what do you need to do? 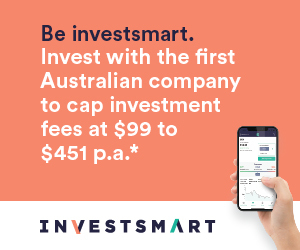 SuperStream requires employers and super funds (including SMSFs) to use new data and e-commerce standards for all superannuation transactions. They’re designed to speed up the transfer of data and remove inefficiencies in back office processing by encouraging the use of technology. Cheques and paper-based forms are still in widespread use, resulting in mis-allocations to member accounts, processing delays and duplicate or lost contributions. The government hopes that SuperStream will; speed up the time it takes for contributions to be credited against a member’s account (from weeks to just days); provide better notice to members about contributions received (or not); and reduce mistakes in crediting funds to members. SuperStream is mandatory for all employers making super contributions and is being imposed in two stages. Firstly, from 1 July 2014, employers with 20 or more employees will start using SuperStream to send contribution data and payments electronically. Super funds must receive contributions from these employers in accordance with SuperStream. The only exception is where the employer and fund are related parties. So small businesses owners paying contributions to their own SMSF are off the hook (although they can opt to use the standard if they wish). In the second stage, from 1 July 2015, small employers (those with 19 or fewer employees) will come into the fold, with the same exception. Small employers can adopt SuperStream early if they want the benefits of cutting down on their paperwork. So you need to check when your employer intends to start. If your employer is using SuperStream from 1 July, you’ll need to give them your SMSF’s details by 31 May. Super fund information is typically provided using the Standard Choice Form (NAT 13080) available from the Tax Office. They’ve advised they’ll be updating this form for SuperStream shortly. To obtain an ESA, you’ll need to first register with a messaging solution provider. Many companies involved in SMSF administration and banking are offering messaging services for SuperStream. The Tax Office maintains a register of providers and the current list (including who can use their service) is shown in Table 1. If you use an online administrator, check with them first. Even if their name doesn’t appear in the table they may be using software provided by the likes of Class Super. Assuming the administrator provides the service free of charge (or cheaply) then it makes sense to use them as it’s likely to mean more efficient processing. BGL, for instance, has highlighted to users that signing up with another provider (they’ve partnered with Australia Post) will mean data doesn’t get automatically uploaded to their system. If you don’t use an administrator, then using your bank is likely to be the next best choice, but speak to your accountant first. A key benefit of SuperStream is data matching, so you should register with the service provider that’s going to make your administration as simple as possible. Failing that, there’s the paid service (for $25) from Australia Post. There’s also a number of services, such as SMSF DataFlow, offered by Class Super, which is free but likely to be accompanied by marketing emails. What if I don’t receive contributions? If your SMSF is no longer receiving contributions – in pension mode for example – then there’s no need to get SuperStream ready at this stage. But note that it’s expected all rollovers between funds (including SMSFs) will need to be done under SuperStream standards from 1 January 2015. Remember, 31 May is the deadline to speak to your employer and, if necessary, register with a messaging service provider and give your employer your ESA, ABN and banking details. There’s not a lot involved but you must act soon.